Do you need SEO or lead generation? We often have clients come to us asking for SEO when what they really want is lead generation. Many businesses and website designers get SEO and lead generation confused. Many think they are the same thing. They are not. Clients will often say, “if I can just get more visitors, I will sell more.” While this may be true to some extent, it’s not the most effective way to use a website. I believe this idea of more visitors equals more sales stems from old style interruption marketing. With interruption marketing, it is important to have a large audience because you are only going to gain the attention of a small percentage of that audience. You are interrupting what they are doing (watching TV, listening to the radio, reading a magazine, etc. ), so you must distract them from that activity and get their attention focused on you. The best system we’ve found for lead generation is HubSpot software. We use it, and it has been very effective. So much so that we first became resellers for HubSpot and have now become certified HubSpot partners. HubSpot is an all in one marketing software that helps you attract visitors, turn them into leads and then nurture those leads. It helps you with your website, social media and blogging. The folks at HubSpot are experts at inbound internet marketing, and they insisted that we be experts as well before we could be certified partners. There is no short-cut to becoming an expert. Believe me, we spend several hours a week on research and study to stay current and cutting edge to better help our clients as well as readers of this blog who come here to read our articles and get help with their internet marketing. While SEO is important in getting visitors to your website, it is just as important what you do with those visitors once they get there. SEO is a tactic while lead generation is a process. 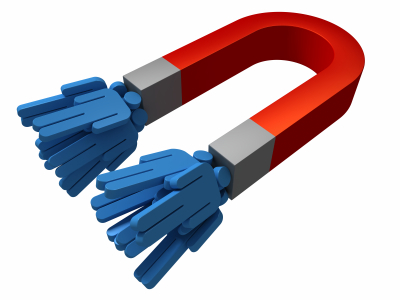 One of the best things you can do with website visitors is turn them into leads. Interested in learning more about HubSpot software? Contact us to find out more. You can fill out the email form on the right or call us at 870.404.1985.